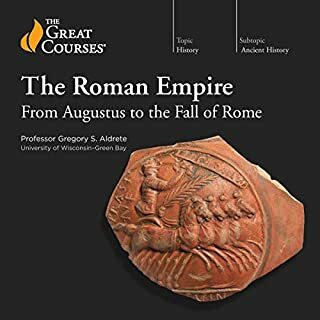 This "Course" is just a quick overview/ relisting of all the major "stories" of the fall of the Roman Empire from Augustus onwards. I didn't think it was a bad listen, though , I have listened to far better and more exciting/interesting courses/books. 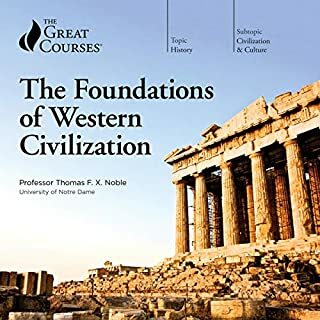 The voice narration of the professor seemed also different than in previous other Great Courses that I have listened to. Mainly it seemed more kind of monotone and like it had been re-recorded and edited and was not a real passionate, enthusiastic (thinking engaged with speaking) "speech" type of course. 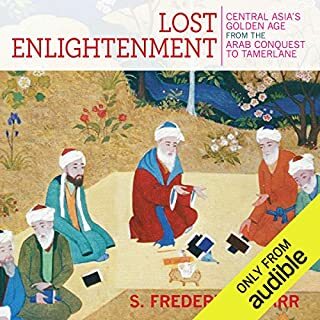 A Treasure to find on Audible! 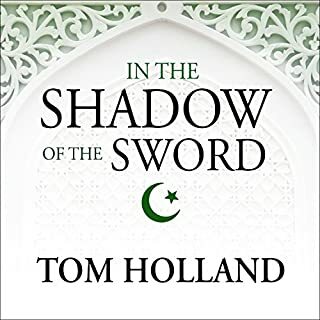 I hope Audible will provide more books like this one. I could listen to this 100 x. it is that good! What sort of men were the Roman emperors (and they were all men)? What background and training, if any, prepared them for their awesome responsibilities? What depravities did they display? And what achievements can they claim: laws passed, monuments built, lands and peoples conquered? 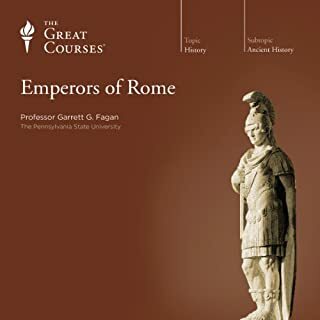 Dive into these questions and more with this introduction to the complex personalities of emperors such as Augustus, Caligula, Claudius, and Nero. DISSAPPOINTED...as I much enjoyed Professor Fagan's course on The History of Ancient Rome, where he actually takes his time and speaks instead of quickly reading off his speech. He speaks so fast and with his Irish accent makes what he is saying nearly unlistenable . "Rambling, poetic prose", but not "a history"
Wow! Exactly what i wanted to buy! this Is A VERY well written , thorough study of Christianity. An objective , academic, scholarly one. I thought the narrator was also very good, despite complaints about his "American accent"..he was as good if not better than many british narrators. very sober, well pronounced, objective , clear tone throughout. 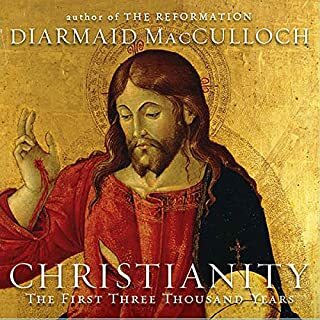 highly recommend if want to get at the truth of Christianity's rise and power in past 2,000, or 3,000 years. I thought it was very boring, not a scholarly done history on the subject. not a scholarly history of the subject more like "Political Fluff" history....very tiring and boring. Was Jesus the invention of a Roman emperor? The author of this ground-breaking book believes he was. 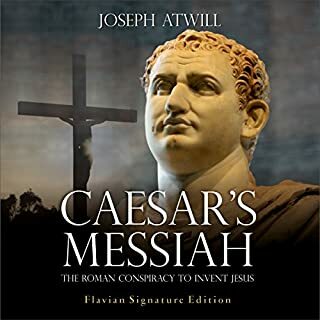 Caesar's Messiah reveals the key to a new and revolutionary understanding of the origin of Christianity, explaining what is the New Testament, who is the real Jesus, and how Christ's second coming already occurred. The author of this books seems to have an agenda. I find it strange that he would not blame the JEWS for creating Christianity instead of blaming a Roman emperor of the Flavian dynasty. His arguments regarding "the code" symbolisms' are beyond exhausting and really ridiculous at times( as if this book is more like a 'satire' of a real argument, that Christianity was indeed an invention, though, not by the Romans as much as the Jews themselves). Also, i wonder why he would also write that one of the goals of Christianity was to create "anti semitism' (..hmm...that seems like a 'clue/code word' there that makes me wonder if he happens to be jewish author perhaps? ), and this tedious , nonsensical series of arguments he puts forth seems to me a waste of time. I am sure there are better books out there (or hopefully, some day there will be) on similar subject written in a more coherent , serious way. 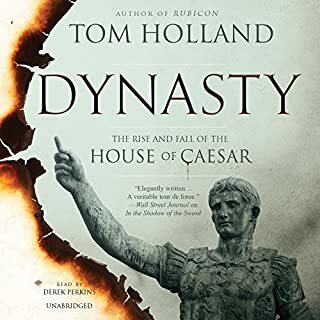 In "Dynasty", Tom Holland seems to concentrate more on simply rehashing past historical gossip written about the Julio-Claudians in his own 'flowery', dramatic, & (at times) bombastic & excessively vulgar prose instead of focusing on writing a clearer, more insightful historical account with his own independent analysis & conjecture. 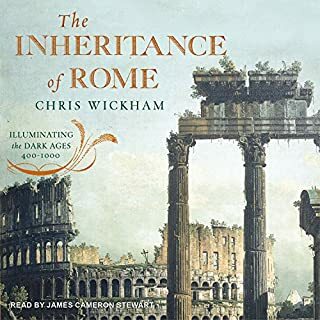 I much enjoyed the beautifully descriptive portrait of Ancient Rome Holland "painted" in Rubicon , however this attempt seems to be a bit repetitive in style & not as well thought over perhaps and sometimes it seems Holland is writing for a novel, play, opera or movie and to be less of a historical writer (and sometimes , Edward gibbon's rambling "witty & floral' style of writing comes to mind, which I really hated having to continuously decipher in his many distracting footnotes ). Holland is a very talented "writer", but as far as a historian, a "historical writer",.. I am not sure yet. 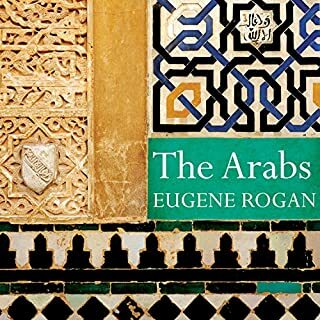 I think Rubicon was his best "artistic" masterpiece that I have listened to so far..as I listened to it on audible, this one I am also listening to, but it just seems that my mind keeps wandering off and this historical account seems to have a harder time at grabbing my full attention . It will try harder and I will edit this book review after it does. Professor Noble, an Excellent thinker &amp; speaker! I love listening to his courses. Him along with Professor Kenneth Harl and as well, Professor Daileader all are just great at what they do. hope they make some more courses!